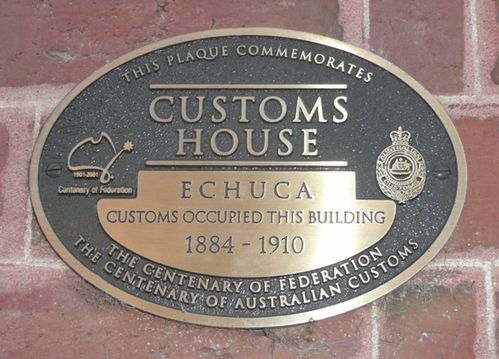 A plaque at the former Customs building commemorates the centenary of the Federation of Australia, and the centenary of the Australian Customs Service. Throughout Australia’s history, Customs has played an important role in collecting revenue. Before federation, colonial Customs administrations were essential revenue raisers. As early as 1800 fees and regulations were introduced in the colony of New South Wales to control the rum trade. At federation in 1901, the Customs administrations of the colonies transferred to the Commonwealth. The new Commonwealth Government had exclusive control over the tariff - customs and excise duties on imported goods. While this brought an end to collecting inter-colonial revenue, it began a united approach to controlling smuggling in Australia.